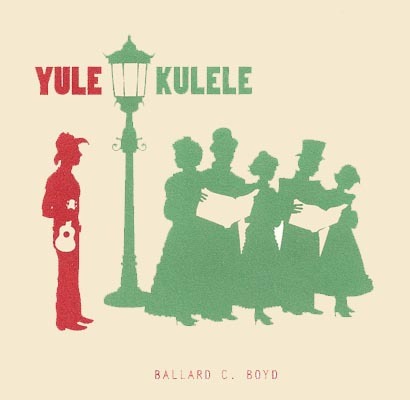 Ballard C Boyd | Brand-NEW Christmas Ukulele Album: "Yule Kulele"
As some of you know, I have a tradition of recording ukulele Christmas albums every year as a present for all of my friends and family. Well, I’m proud to announce the release of the 5th annual, new 2009 ukulele Christmas album: “Yule Kulele”. Featuring THREE brand-new Christmas classics, “Yule Kulele” will be a new hit in your digital stereo – and features a whole lot of kazoo, plenty of sass, and for the first time ever: banjo. Tell your friends, give them away as presents (the records that is – not your friends), and enjoy! Listen to it with your family, and please copy and share with your friends. It’s my holiday gift to you. Click here to download a .zip file of the entire album, and click here or on the music tab to your left to hear and download all FOUR previous Christmas ukulele records for free. Enjoy!